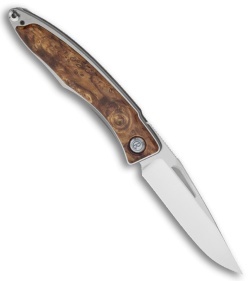 This is the left-hand specific Mnandi folder with Honduran Rosewood. 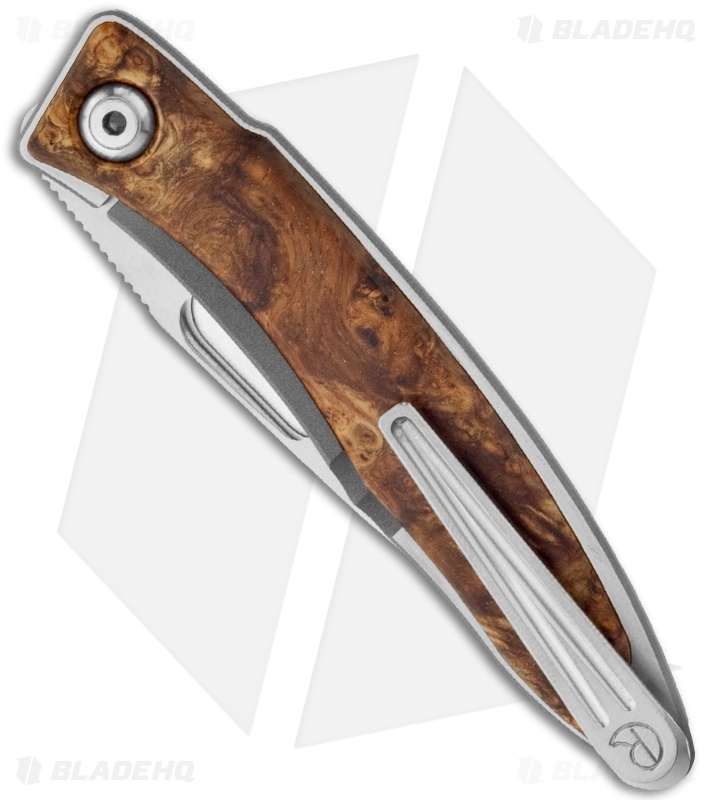 The Mnandi pocket knife is an elegant and functional gentleman’s folder from Chris Reeve Knives. Mnandi – pronounced mm-nun-dee – comes from the Zulu word meaning "very nice". The Mnandi is an excellent pocket knife with premium materials and build. 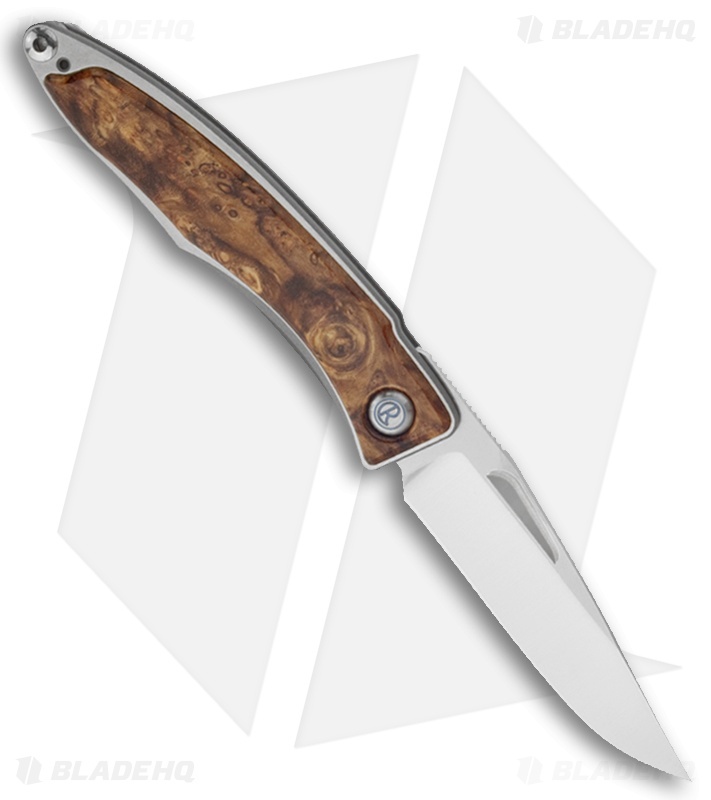 The handle utilizes bead blasted titanium with premium Honduran Rosewood inlays front and back. 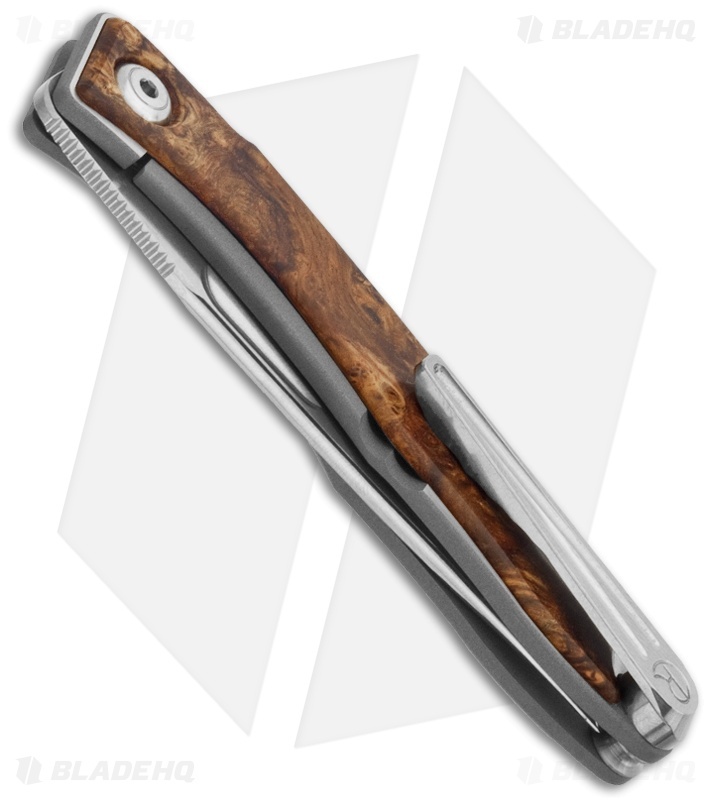 The Integral Lock provides stout locking, while the reversible tip-up pocket clip makes the Mnandi easy to keep around. The hollow ground S35VN steel blade is polished and machined on both sides with an enlarged thumbnail recess for easy opening. This knife is only available at BladeHQ!